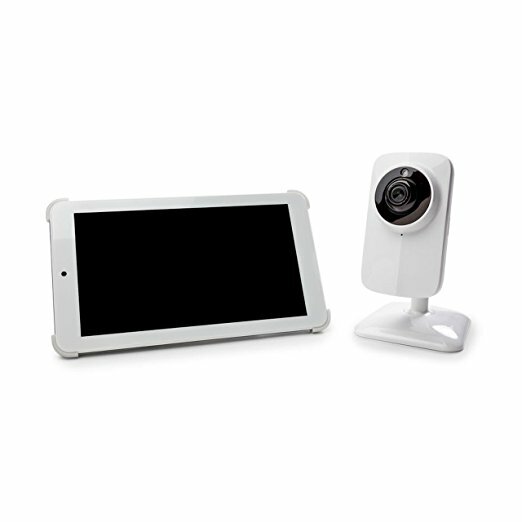 It is no doubt that this Wi-Fi baby monitor is good for parents who enjoy monitoring their babies from much larger screens. 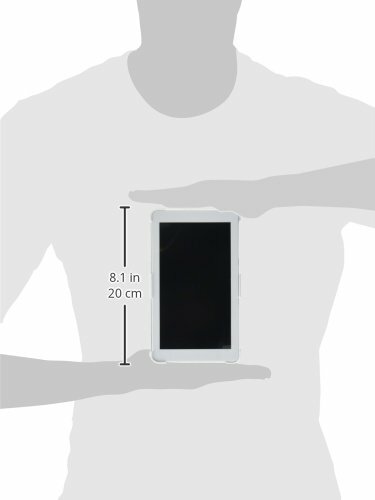 I say this because they will absolutely love using the 7-inch Android Tablet that it comes with which is capable of split screen in case they are using more than four cameras at the same time. They will also enjoy that the camera is designed to produce clear images at night and the device itself is capable of two-way communication. 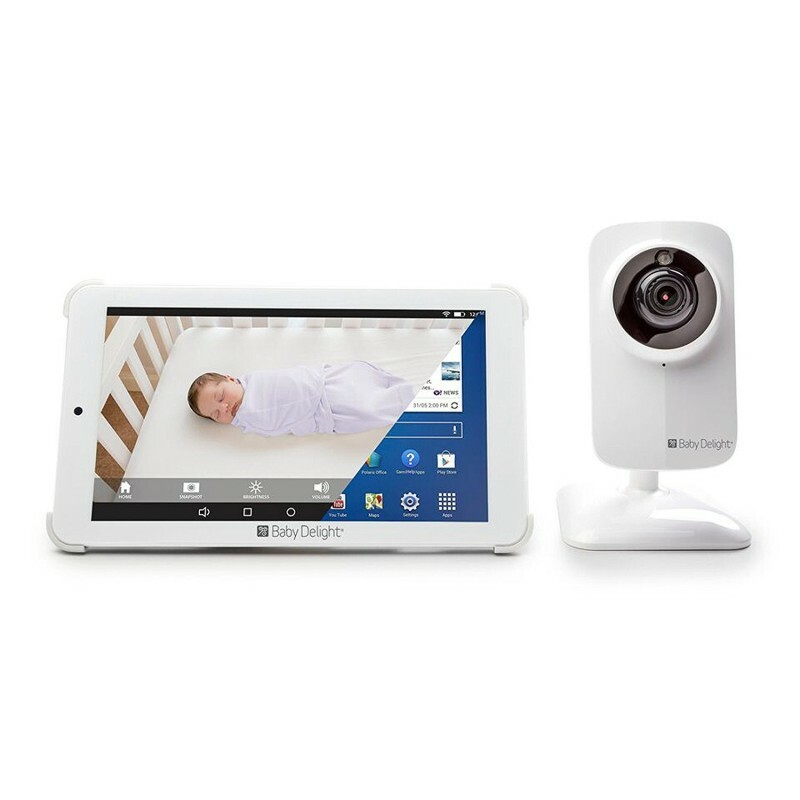 However, this baby monitor does not come with features that enable it to monitor motion, temperature changes, and sound. 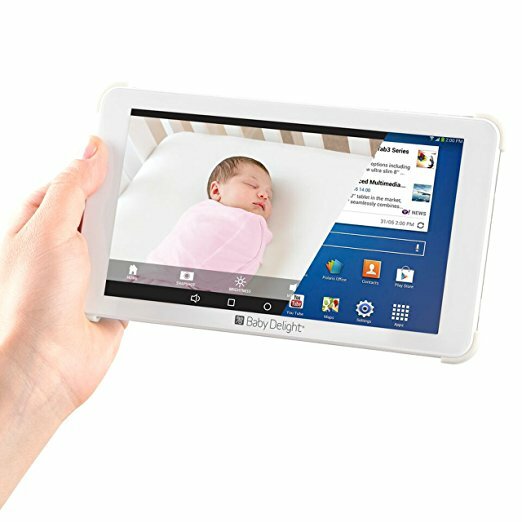 You can still monitor your baby even when your phone is engaged thanks to its 7-inch Android tablet. 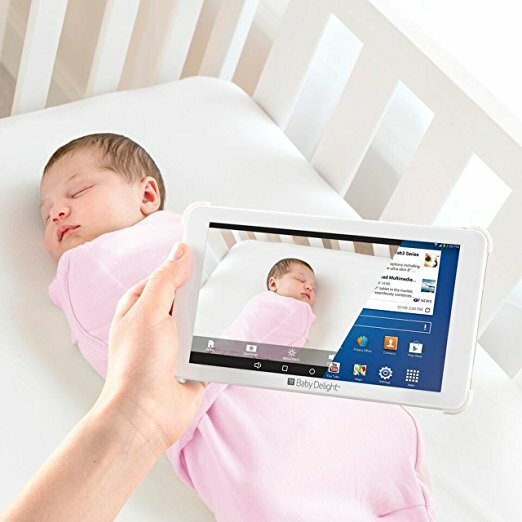 The tablet has a bigger screen to allow you to have a much better view of your baby through bigger images. You can access it on your mobile devices with the Baby delight APP in case you are away from home. It comes with indicators that notify you when you are out of range or when the batteries are low. You can connect it to four other cameras so that you are able to monitor other rooms too. Its app allows you to get different views through a split screen in case you are monitoring different rooms at the same time. You can use it to soothe your baby in case you are in a different room through its two-way communication and it is also capable of night vision. It does not detect motion, temperature changes or sound.